These earrings are priced at 75% off! (original price $22). They are first quality earrings, but I am clearing out some old designs to make some room for new! 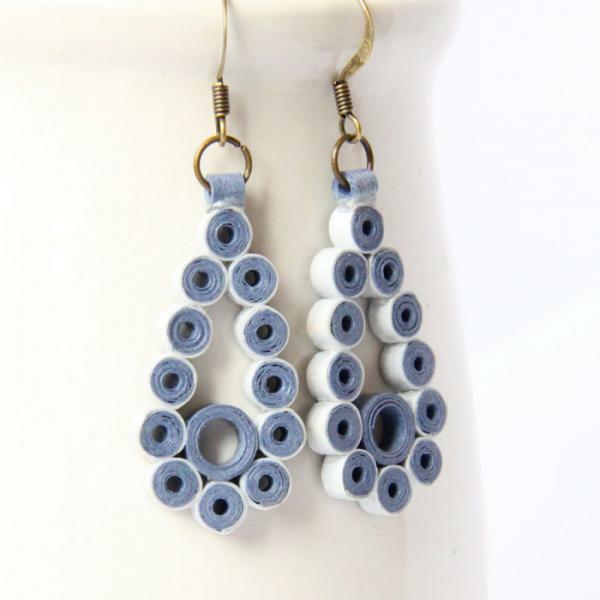 These classy teardrop earrings are eco friendly and handcrafted by the art of paper quilling. 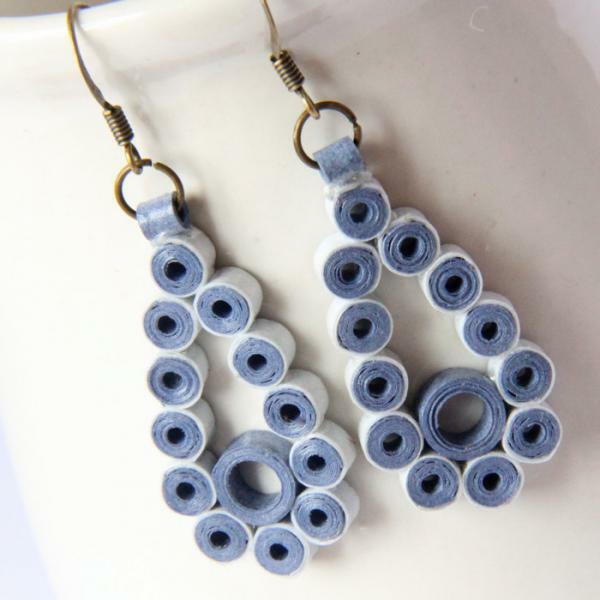 I used two shades of blue speckled quilling paper to make this pair. I love the soft earthy blues! Perfect for someone who loves muted or woodsy colors. They are hand varnished for a sturdy, water resistant finish. They are finished with antique brass findings. 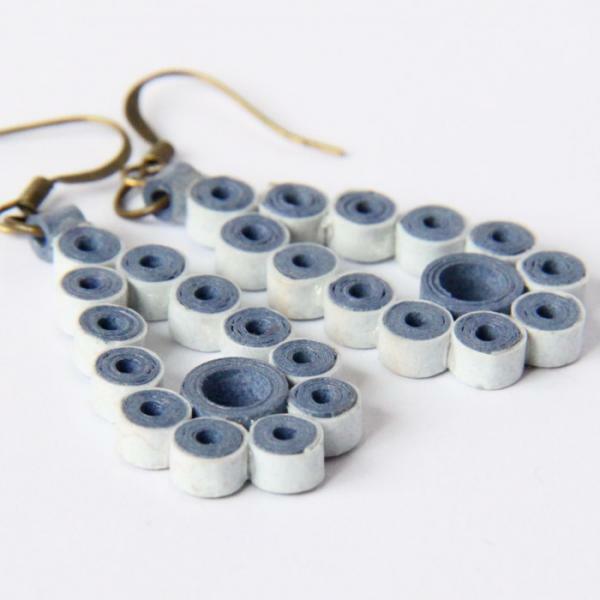 Each earring measures 1 1/2" (3.5cm) long. 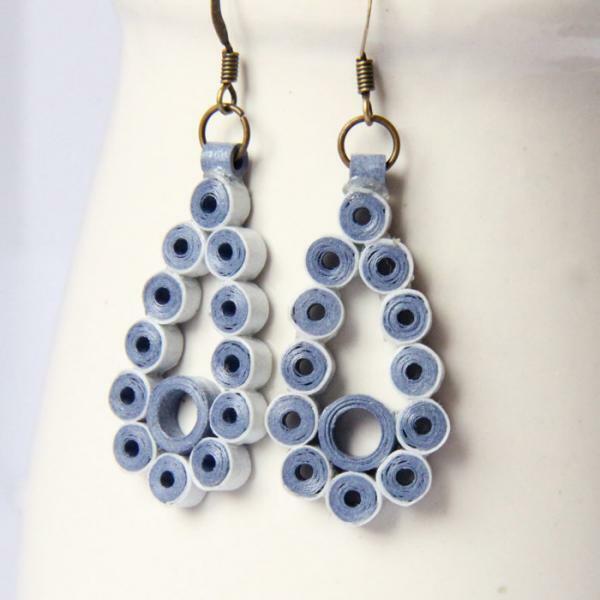 Quilled earrings are super light-weight, gorgeous, delicate in appearance, yet can last as long as other jewelry thanks to the water resistant coating. This pair of earrings, like all my jewelry, comes packed safely in a pretty gift box. If you order multiple items, I may pack in fewer boxes than there are items, unless you request otherwise.